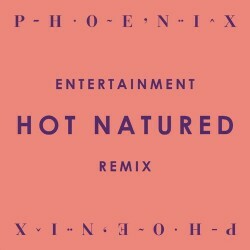 The release of Phoenix’s new album Bankrupt has taken on extra significance for dance fans due to this remix of lead single “Entertainment” by Hot Natured. Their first remix since absorbing the talented Luca C. and Ali Love from Infinity Ink and reforming as a 4-piece, the track nonetheless calls to mind the early work by Jamie Jones and Lee Foss rather than the radio-friendly anthems released by Hot Natured over the past year, although Thomas Mars’ vocal is showcased well by Jones & Co’s pop sensibilities. The vibe may be dark and deep like the Hot Natured edits of old, but the continuing evolution of the 4-piece as a bona fide band is on display here, with unquestionably live bass lines and organ fills interspersed throughout the synths and electronics. Those worried that their underground heroes are “selling out” in their increased rise to stardom should take a listen: this is the sound of the underground and mainstream pop interacting effortlessly. Or in other words, the sound of Hot Natured. "Entertainment" (Hot Natured Remix) will be released on April 29 as a Beatport Exclusive. 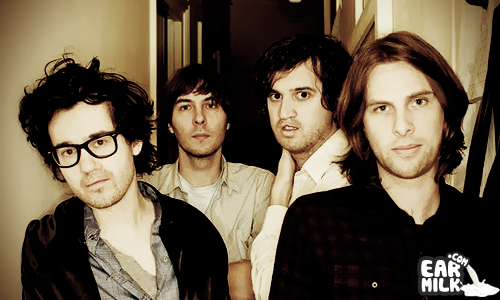 The group will be making the festival tour this summer, but stateside stops are limited to Chicago and NYC.